Toccoa Falls College recently added two new press boxes to its athletic fields to allow for announcing and live streaming of its soccer and baseball games. 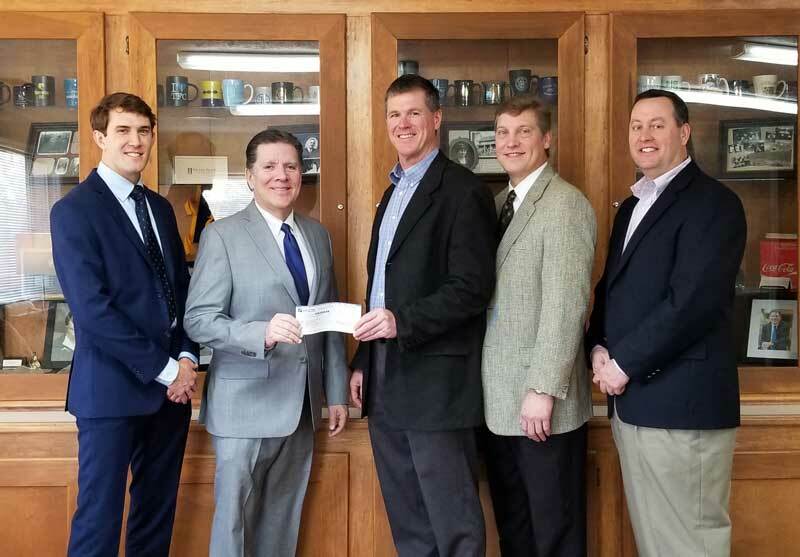 On Friday, January 18th, First Citizens Bank of Toccoa generously donated to the construction of the project by paying for one of the press boxes which will be named the First Citizens Bank press box. The First Citizens Bank press box will be located on the TFC Baseball field. Pictured are (left to right) Joseph Murrey, Development Officer for Toccoa Falls College; Dr. Robert Myers, President of Toccoa Falls College; Tommy Moon, Vice President, Financial Sales Manager, First Citizens Bank; Greg Savage, Asst. Vice President, Service Manager II, First Citizens Bank; and Todd Fleming, Marketing Executive, First Citizens Bank.